Boxwood advises Stuart Hose & Pipe as it Joins Forces with GHX Industrial. RICHMOND, VA (February 4, 2019) — Boxwood Partners, LLC is pleased to announce the sale of Stuart Hose & Pipe (the “Company” or “Stuart”) to GHX Industrial, LLC (“GHX”), a SunSource Company. SunSource, Inc. is a portfolio company of Clayton, Dubilier & Rice. Boxwood Partners acted as the exclusive advisor to Stuart with respect to this transaction. The transaction was led by Managing Partner J. Patrick Galleher and Director Brian Alas. The terms of the deal were not disclosed. Stuart Hose & Pipe is one of the nation’s largest regional distributors of hydraulic and industrial components to a variety of end markets. Stuart operates out of 9 distribution service centers throughout Texas, providing high quality and mission critical components to both the Original Equipment Manufacturer (OEM) and Maintenance, Repair, and Operations (MRO) end markets. Differentiated by its highly customizable and technical solutions, the Company offers customers a wide portfolio of value-added services including kitting, crimping, and vendor managed services, helping their customers reduce downtime and increase manufacturing efficiencies. For over 55 years, the Company has maintained the “Stuart Standard,” a reputation of unparalleled and exceptional customer service. “Stuart has developed a strong reputation within its core markets for its technical expertise and value-added services. Through longstanding relationships with its suppliers, it can offer a variety of customized solutions to its customers. Furthermore, Stuart and GHX share many core strengths and cultural values, making this a great fit for SunSource. We are extremely excited to join forces with Stuart, further solidifying our presence in the region and in the fluid conveyance market,” said David Sacher, CEO of SunSource. Stuart Hose & Pipe joins GHX Industrial alongside National Mine Service, Gooding Rubber, and McCarty Equipment Company. Boxwood Partners, LLC (www.boxwoodpartnersllc.com), is a boutique investment bank based in Richmond, Virginia. Boxwood Partners combines a unique blend of senior-level transaction advisory, business operating experience, and proven process execution skills to give its clients a distinct advantage in the market. The firm’s extensive relationships within the global capital and buyer communities (including U.S. and international private equity groups, corporations, and lenders) and other important transaction-related service providers such as consultants, attorneys, and accountants, ensure that the firm’s clients receive the attention, service, and results they deserve. 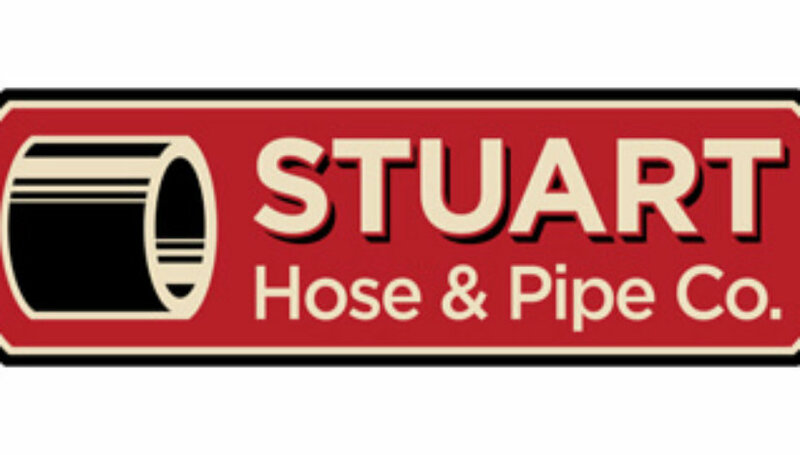 Stuart Hose & Pipe, headquartered in Fort Worth, Texas, is regional market leader focusing on providing customized hose, pipe and hydraulic solutions. The Company provides mission critical components to both OEM and MRO clientele across a variety of industries including Oil & Gas, Transportation, Construction, and Mining. The Company operates 9 locations across Texas. Headquartered in Houston, Texas, GHX Industrial provides fluid sealing (gaskets), fluid transfer (hoses), and other products to a variety of industries including refining and petrochemical, upstream oil and gas, power generation, mining, agriculture and marine enterprises. GHX operates 40+ locations throughout the United States and Canada. Headquartered in Addison, Illinois, SunSource is a value-added distributor of fluid power, fluid process technologies, fluid conveyance, industrial supply and services in the U.S. and Canada. As a technically-focused distributor, SunSource serves as an extension of its customers’ design and engineering teams and its suppliers’ sales forces, delivering innovative solutions that lower total costs and streamline supply chains. The company operates through six highly focused strategic business units that provide tailored solutions for the unique needs of its industrial, mobile, service & repair and process solutions customers.